An all-in-one blockchain investment solution, Trecento aims to take the place of regulated asset managers by providing the best business opportunities of blockchain technology so investors see high levels of ROI. Blockchain technology is disrupting multiple industries, and while there are numerous blockchain startups trying to show their value and economic advantages, they lack the financial support to truly be successful. Trecento wants to help the blockchain revolution by financing startups and supporting innovation. Today, asset management is hard to understand, especially when focused on blockchain-related projects. There is also a lack of transparency around fund manager decision-making. Tracento will allow blockchain management services to become widely accessible so that investors can manage their money in a transparent, secure, compliant, and profitable way. 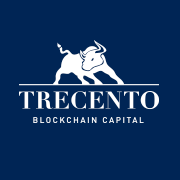 We like Trecento’s platform, and as a company with seven years of experience, they have the human and financial resources in place to comply with international financial standards.Trecento Asset Management has over $250 million under management, and they have a proven track record of providing transparent and straightforward investment vehicles to address disruptive sectors. Furthermore, the Trecento team is based in Switzerland, which is one of the most advanced countries for blockchain support and development. The team is strong with experience in blockchain and fintech, and their advisors have experience with ICO development. We would like to see them increase their partnerships to further penetrate the market and grow. Additionally, their working platform will not go into production until late 2019, and we worry that this is a long turnaround time. Ultimately, we think that Trecento is an interesting project that is filling a much needed space in the market, and wish them the best of luck as they continue bringing their whitepaper to life. How to invest: Register for the whitelist to get in line for your TOT tokens. Eligibility: Participation in the ICO is open to natural or legal persons acting within the scope of their professional activities as well as to any private individual acting on a non-professional basis as a simple consumer, benefitting from consumer protection laws within the meaning of EU Directive 2011/83/EU of the European Parliament and of the Council of 25 October 2011 on consumer rights. US citizens are restricted from participation. Accepted currencies: ETH, BTC, LTC, Dash, Doge, and fiat. Problem addressed/solved: The crypto market is thriving, buoyant, and full of potential upside for investors. At the same time, it remains hard to assess, with ongoing innovation and a lot of projects that are either scams or not viable. This market is therefore characterized by a high level of complexity, a strong lack of transparency, and a lack of a clear regulatory framework. This makes it hard to understand and invest in this space. Target customers/customer/ segments/verticals: Trecento will primarily focus on individual investors, but also hopes to acquire institutional investors that are avid believers in blockchain technology and see a prominent future for it in business. These institutional investors will likely drive most of the revenue. Value creation: Trecento’s objective is to capture the best business opportunities offered by blockchain technology through a 360-degree investment approach. 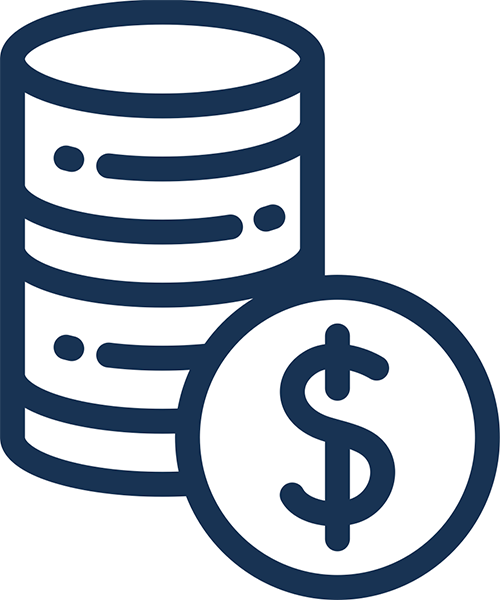 Trecento wants to provide both individuals and institutional investors with a straightforward, high-performing investment solution relying on four investment funds, all within a safe and regulated environment. Competition: The standard and average fee structure is “2/20” (2% of management fees and 20% of performance fees) . Trecento Blockchain Capital solutions are extremely competitive in this market as they grant high management and performance fees discounts. They may blow past traditional competition with their low fees and access to digital assets, but they certainly can’t compete with brand name banks like Morgan Stanley, JP Morgan, etc. Market size/potential: According to PwC, total assets under management are expected to grow from $90 trillion to approximately $145 trillion in 2025. Blockchain technology will have a major impact on the Asset Management industry as it will reduce fee margins, enabling scalability and operational efficiency. It will also increase transparency and offer clear and simple investment/financial products to both individuals and institutional investors. Furthermore, the number of blockchain/crypto hedge funds has increased exponentially from around 8 in 2013 to over 250 in 2018. Regulatory risks: We are impressed that Trecento actually has three specialized departments including Risk Management, Legal & Compliance, and Security to ensure that policies are communicated and assimilated by the team and associates. They have a strict code of ethics and transparency. Investor value: The TOT token could gain value if people consistently use it on the platform. It doesn’t have as many use cases as most utility tokens, other than the discount it provides holders of the token. Trecento might want to find new ways to integrate the token onto their platform so that more people can use it for a variety of functions other than discounts. Disclosures: Trecento depicts their business in the way most financial-based companies would. They have a clear structure for their whitepaper and one-pager, and their website has a simple UI that helps non-finance people understand the concepts of the project better. The company has further information on Trecento Asset Management, the initial Trecento corporation, on their corporate site. All in all, they provide investors with the information they need to know and then some. Token distribution: 75% ICO participants, 15% team & advisors, 5% bounty program, and 5% company reserve. Use of proceeds: 45% operating expense, 20% marketing, sales, & communications, 10% legal and compliance, 10% technology, 7% cybersecurity, and 5% exchange listing. Track record: Alice Lhabouz (CEO) and Adrien Lhabouz founded Trecento Asset Management in 2011. Under their join leadership, Trecento now has over $250 million in assets under management. The tremendous growth of their firm stems from the entrepreneurial leadership from the COO and CEO. Speaking of entrepreneurship, Elie Boudara (Chief Blockchain Officer) is a serial digital entrepreneur who’s worked for major companies like L’Oréal, TF1, France Télévision, Château de Versailles, and Telfrance. He and Adrien co-founded Comparelend.com, the first international comparison website dedicated to the P2P lending sector. As a CTO, he carried out the development of the online platform. Integrity: The vast majority of the Trecento Blockchain team comes from a finance background, and most of their firms are considered “fiduciaries”. As a fiduciary, it means the advisors/analysts have a legal obligation to do what’s in the best interest of their clients regardless of company outcomes. The Trecento team exemplifies a level of professionalism that’s rare in the startup industry as most companies have young, inexperienced entrepreneurs trying to make a name for themselves. Fortunately for their investors, Trecento is on the opposite side of the spectrum. MVP: Trecento does not have a solidified MVP, but they claim to be developing their dashboard, smart contracts, and audit & security tools in the second half of 2018. Their beta version of the DAO (voting/reward system) won’t be released until late 2019. Token use case: The TOT token will function as an ERC-20 utility token with main use cases stemming from fee payment to voting rights. Holders of the token will have the opportunity to suggest investment ideas for Trecento to pursue, and those investors will actually be rewarded with TOT for their contributions. Value-added: Holders of the TOT token will receive significant fee discounts in the first year with a steady decline to 10% three years after the completion of the ICO. The discount is the most significant aspect of the token since it will bring Trecento into its own playing field while other asset management firms will be unable to compete due to higher fees. Decentralization: Trecento does not incorporate a decentralized platform as they have no need for one. They’re more geared toward asset management and investing client money on the client’s behalf. Technical difficulty/investment expertise needed: Trecento is an all-in-one blockchain investment solution, meaning they simply acquire clients and subsequently invest their money through their four investment funds. They provide a detailed overview of the project and its mission via the following video. Halo effect: Trecento mainly has legal/advisory based partners. Their partner Bitgo carries out the software security aspect while OnFido focuses on the KYC procedure, ensuring everything runs smoothly for the investors. Their startup has received a few awards as one of Europe’s fastest growing companies, which can be found on the site. Buzz: Trecento has approximately 900 Twitter and Facebook followers on each account. They have active engagement but, by most standards, it would be considered subpar for a project of this magnitude. Their Telegram has just over 5,500 members, which is neither impressive nor concerning. They are additionally featured on a few low-tier finance news outlets that include NewsBlaze, Option Finance, and L’Agefi. Overall, there is average buzz around this project.